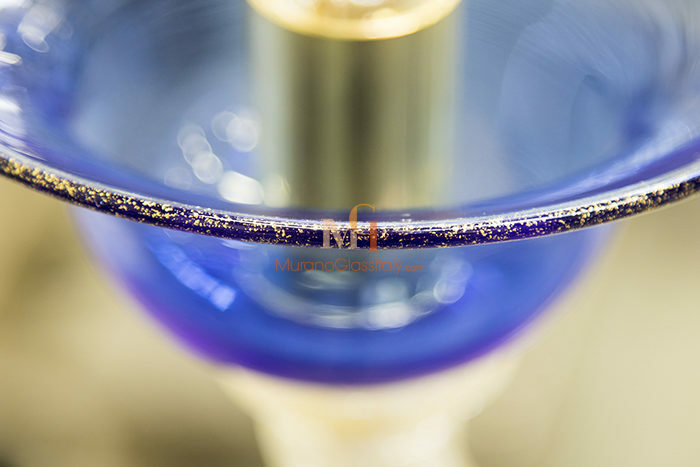 Offering an elegant design, which features azure blue Murano crystal glass infused with 24 karat gold. 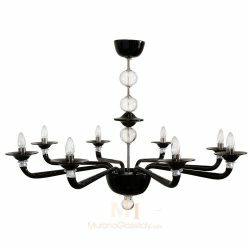 The displayed exquisite chandelier manifests a beautiful richness of color for an eye-catching focus. 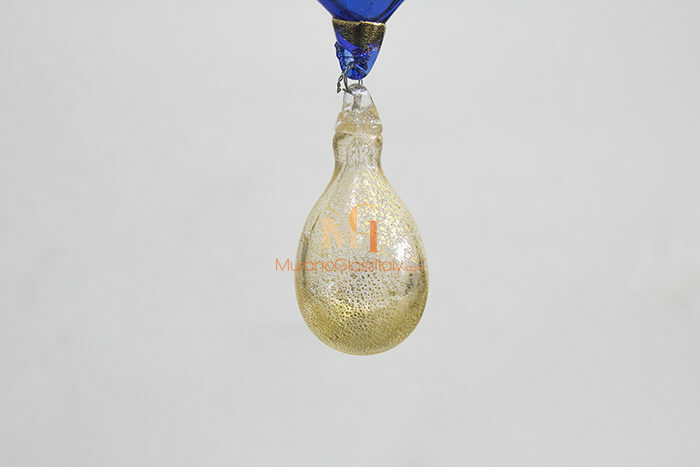 There is nothing more important than a beautiful lighting, which provides a unique ambience. Paying great attention to detail this gorgeous masterpiece combines traditional craftsmanship and modern style. 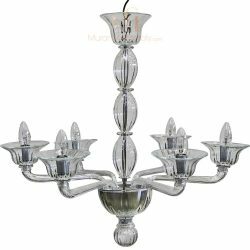 Perfect for any modern eclectic, or classically styled home. 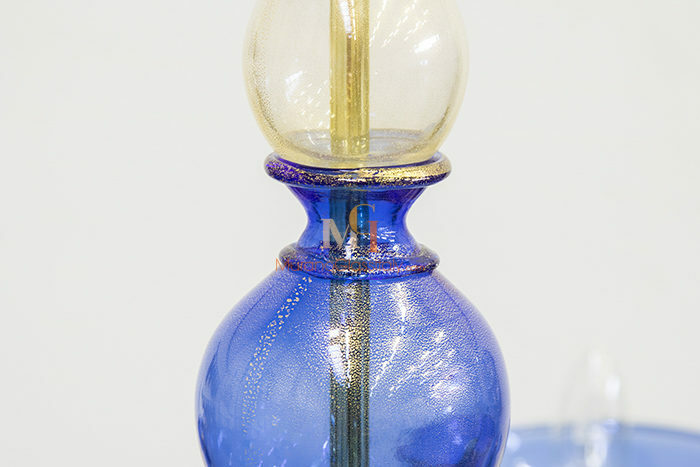 The central blue crystal stem gets adorned by nicely curved crystal arms, each presenting a tiered azure blue saucer which house chrome light fittings. Add a touch of color and artistry to your home capable to transform every space into a stunning scenario. 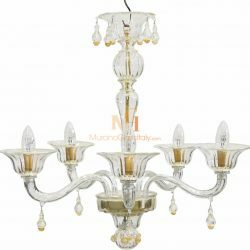 Each chandelier is a 100% handmade unique masterpiece provided with certificate of authenticity demonstrating that the chandelier was made in Murano, Italy. 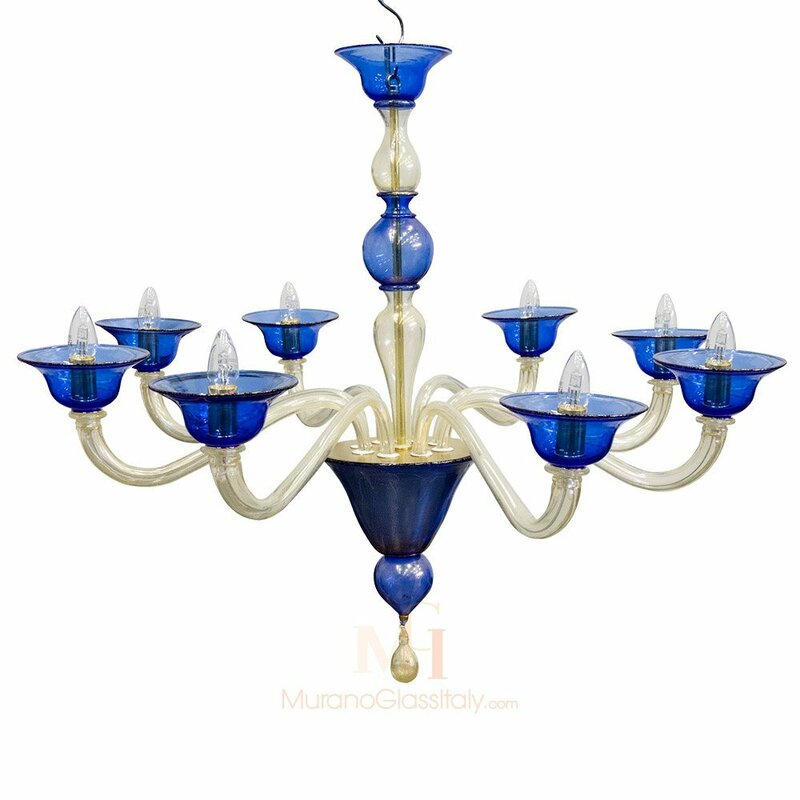 The chandelier part of the Italian Glass Chandeliers Collection can be customized in the number of lights and colors to fit your interior perfectly, for more information contact us at customer@muranoglassitaly.com.